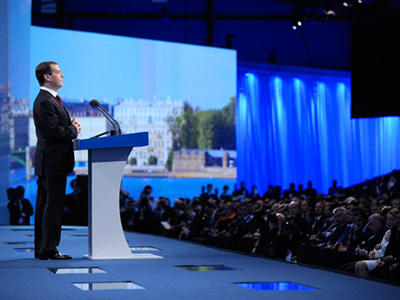 The world financial system needs reforming and economic management should be bolstered in order to be able to face modern challenges, Chinese President Hu Jintao has said addressing the St. Petersburg International Economic Forum. In a major speech at the “Russian Davos” on Friday, the Chinese leader said that the global financial crisis has not only hit economies of different states, but has also revealed “how flawed the modern international system is.” It showed how “poorly today’s economic management institutions are prepared to respond to crisis,” he stated. Beijing is devoted to actively participate in both discussing and solving important world economic problems and, together with partners, to counter the today’s challenges. Addressing the participants, the Chinese leader noted that “we are all witnessing big development and transformation in the modern world” and the idea of peace and co-operation is gaining ground. “Due to the intensive processes of the multi-polar world development and economic globalization, the economic interdependence of states is increasing,” Hu said. Countries with forming markets and developing economies are rapidly going up and regional co-operation is gathering pace. The international economic order is changing fundamentally. “However, one cannot but admit that the recovery of the world economy is getting slower, despite that over two years have passed since the beginning of the world economic crisis,” the Chinese president pointed out. 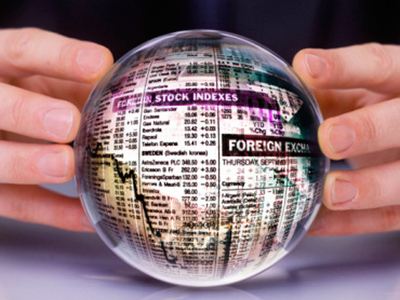 Many countries are still experiencing the consequences of the 2008 financial collapse and the outlook is still uncertain. In addition, trouble spots emerge in different parts of the planet, and problems of protectionism and of differentiation of the North and South development are getting more acute. 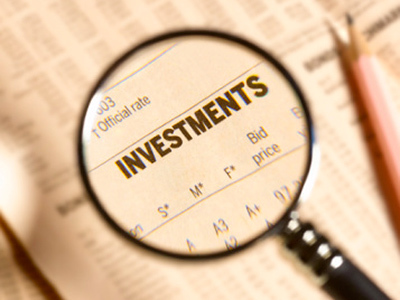 Hu noted that as the proportion of emerging economies within the global economy is increasing, their role in the global management is growing as well. He stressed that “it is important to ensure that new international management institutions reflect the changes that are occurring in the world economic configuration.” The Chinese president stressed the importance of the principle of mutual respect and collective decision making. In that respect, he went on, emerging economies should be given a bigger say. 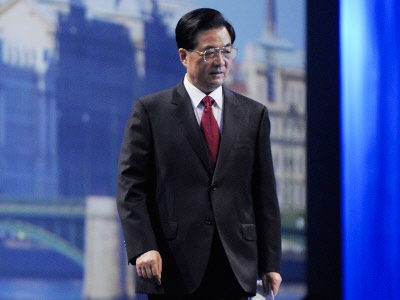 Hu underlined that the G20 should keep working so that it keeps playing an important role in global management. 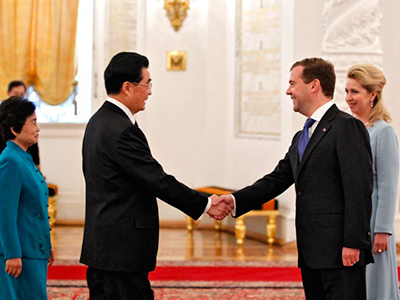 Hu Jintao also called on the partners for co-operation in innovations sector. 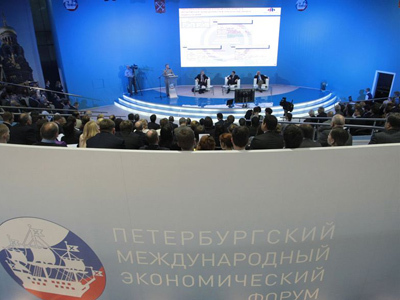 According to the president, the economy development should be first of all based on the scientific achievements and innovations, with the main goal being the improvement of living standards for people. 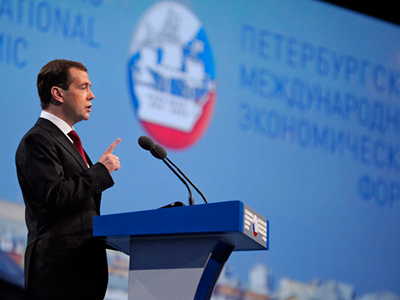 In his speech in St Petersburg, the Chinese leader also observed that the forum, which made its start back in 1997, is now known as an authoritative platform which annually brings together high officials from different states to discuss the development of the Russian economy, as well as the world economy as a whole. The humanity is facing a whole range of new challenges, such as the climate change, energy and food security. 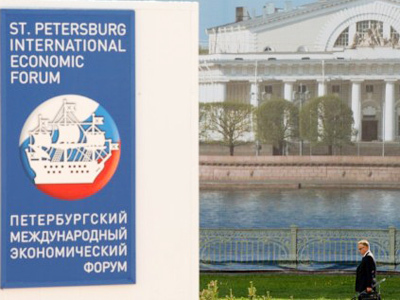 Over the 15 years since its foundation, “the forum has witnessed not only the stable and rapid development of the Russian economy, but also promoted the consolidation of international economic ties and co-operation”. 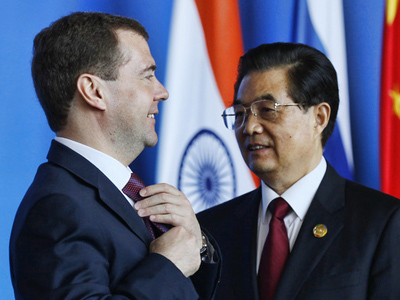 “The positive role of the St. Petersburg Economic Forum is highly valued in China as well,” Hu added. He noted that both Russia and China are two important emerging world markets whose development promotes the growth of global economy on the whole. The two states are each other’s major trading partners and it is planned that the turnover will reach US$200 billion by 2020.